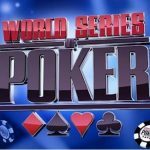 Ben Yu a professional poker player from Dayton wins $10,000 buy-in Limit Hold’em championship at event number 50 of the WSOP 2015 in Las Vegas. 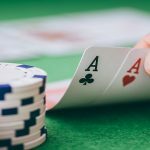 The total number of entries for the championship was 117 which generated a prize pool of $1,099,800 from which Ben won first prize that is $291,456. This was the first ever gold bracelet victory by Mr. Yu. This was the event number 50 out of 68 events which are going to be played at the WSOP 2015 tournament. Yu managed to get the success. Mr. Yu said to the reporters that it was a big win for him and it is a dream comes true for him after winning the final hands. Yu was playing these games since he was 16 back in the year 2003 and 2004. Since then he always thought about winning the game. Yu got second position and finalist back in the year 2010 when he was playing to win the game. He was very pleased doing the same at that time as well. As I mentioned earlier that total number of entries were 117 which generated a very handful prize pool of $1,099,800 which paid out top 15 finishers of the game. Here are other finishers/finalists who also won their share of the prize pool. 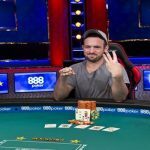 Second place: – Jesse Martin a MA based professional poker player got second position to this year WSOP 2015 Limit Hold’em game which yielded a prize of $180,114 for him. This is really enormous. 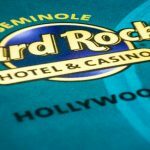 He is a winner, He has played the games earlier as well to this particular tournament where in the year 2013 he got first position and won a gold bracelet for the game $10K Deuce-to-seven-no-limit-Hold’em. The Third Position for this event number 50 went to the player named Justin Bonomo. He is a professional poker player who resides in Vancouver Canada. Mr. Bonomo wins his share of pool prize, a great amount i.e. $130,480. Bonomos total income including this particular event has gone past 2 million mark as well. The next finisher for the game was Aleksandr Denisov, A player from Moscow. He got fourth position after being nominated as a final player and a cash prize of $96,309 for himself. This is what I have got for you from the ongoing World Series of poker 2015 tournament. I will let you know more and more about the tournament as well. 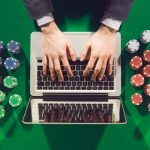 Here at real poker online you will get every information which matters to you either game plan, schedules, event winners or top finalists.